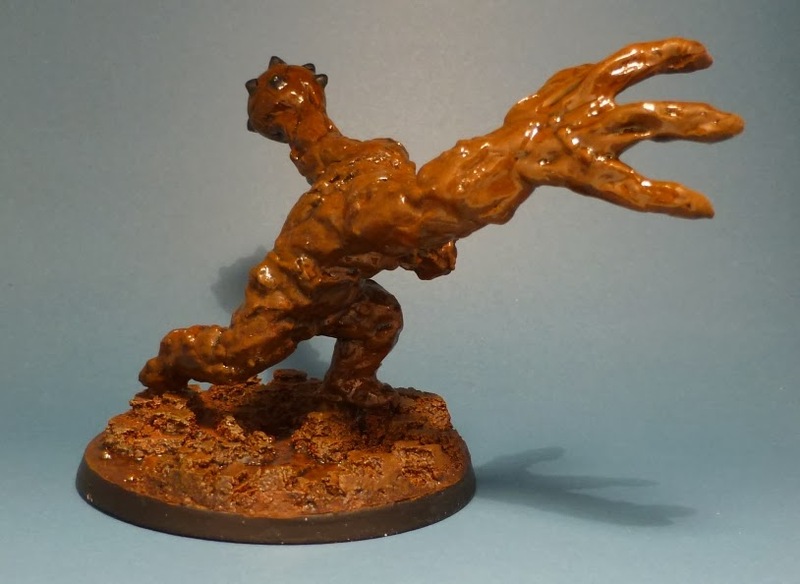 The first of the bigger batman miniatures from Knight Models I've tried - Clayface. 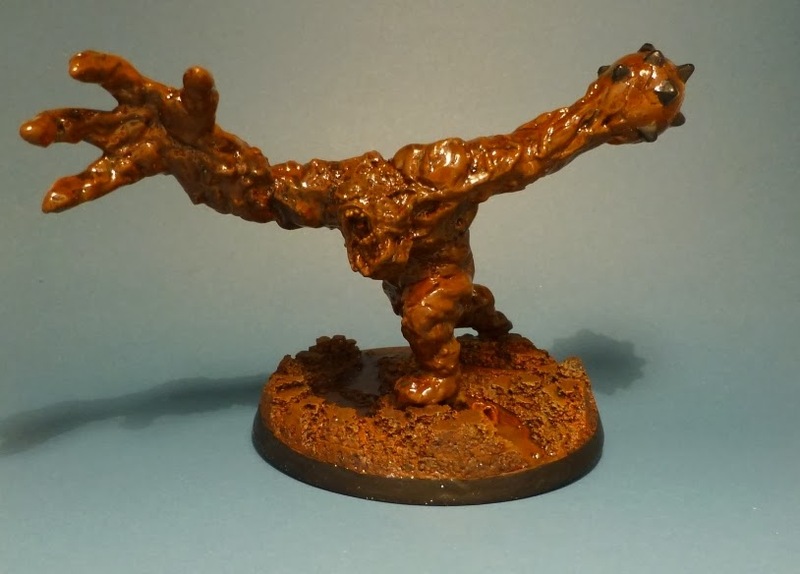 The one thing I disliked about this mini, once it was assembled, was the way it was weighted. 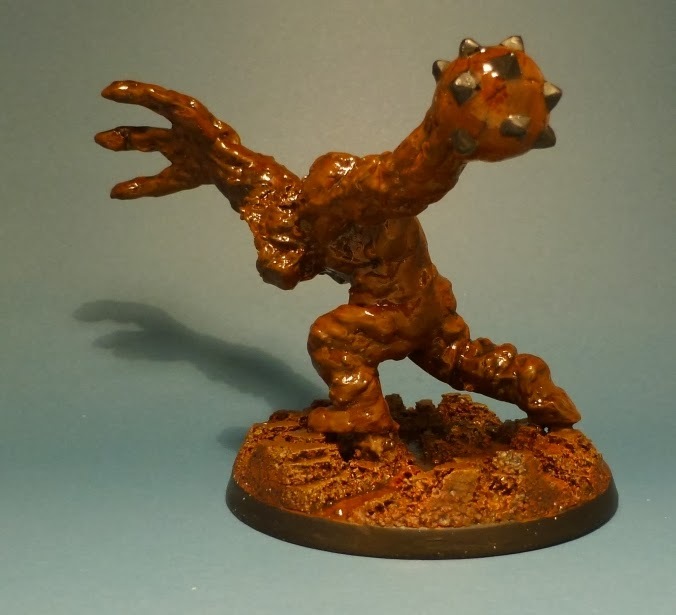 The claw hand reaching out made the whole mini really top heavy, so the tiny base you get supplied is never going to keep it standing up!. 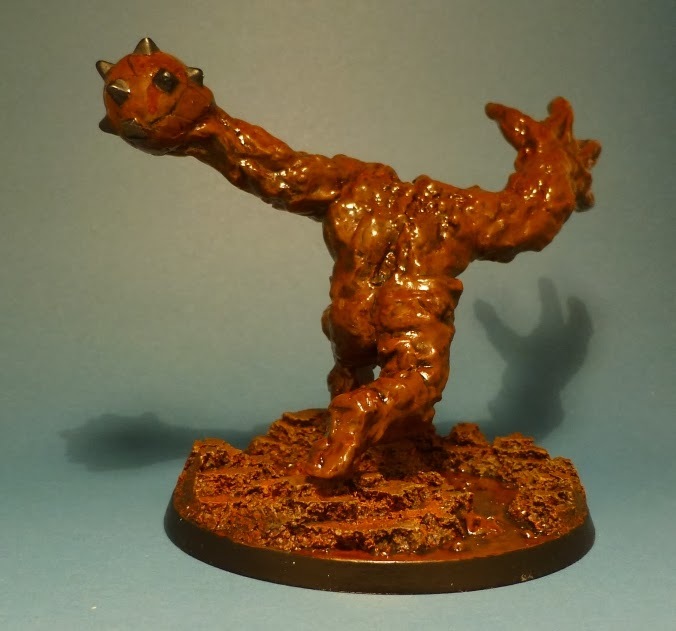 After a bit of searching i found a nice large lava style base that i painted up as rock/liquid clay. 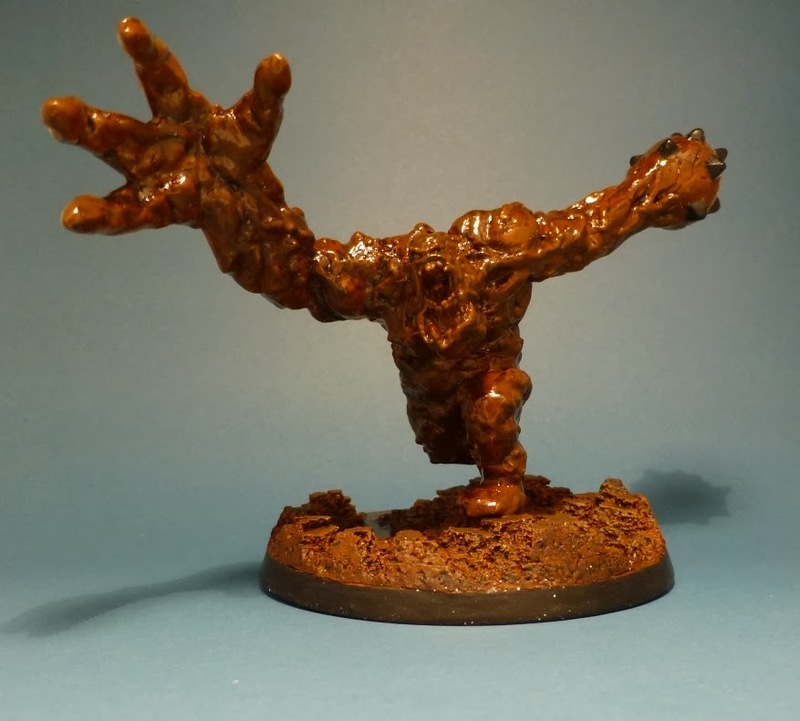 The glossed up the mini itself to look like wet clay as well.